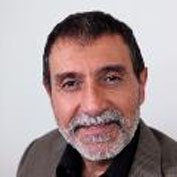 Mario Di Carlo has held management and senior management positions in international and crown corporations since the 1980s in roles focused on customer service and sales. For many years, he has put his personal and professional experience to work on the boards of various non-profit organizations dealing with issues related to health, poverty and education (Polio Quebec Association, Butterfly Wings Foundation, Association québécoise de la douleur chronique, West Island Mission, The Refuge and the Royal Astronomical Society of Canada). In 2007 he became involved at the McGill University Health Centre (MUHC) as a facilitator for the Chronic Disease Self-Management Program (CDSMP) from Stanford University, known as “My Tool Box” at the MUHC. This program has had a huge success among people living with chronic conditions in the Montreal region and Mr. Di Carlo has played a key role in spreading the program across Quebec. He is a certified Stanford University T-Trainer for CDSMP. His involvement at the MUHC continues to this day particularly with patients’ committees and patient engagement initiatives. He participated as a Patient Representative on the Transforming Care at the Bedside (TCAB) project and was a member of the Board of Directors of the MUHC. Mr. Di Carlo participated in editing the French version of Living a Healthy Life with Chronic Conditions (third, fourth and fifth edition), as well as in translating the Workbook and Leader Manual of the Chronic Pain Self-Management Program (CPSMP).